PIQUA — Piqua police have arrested a suspect in a May 5 incident involving a shopping spree with an allegedly stolen credit card. 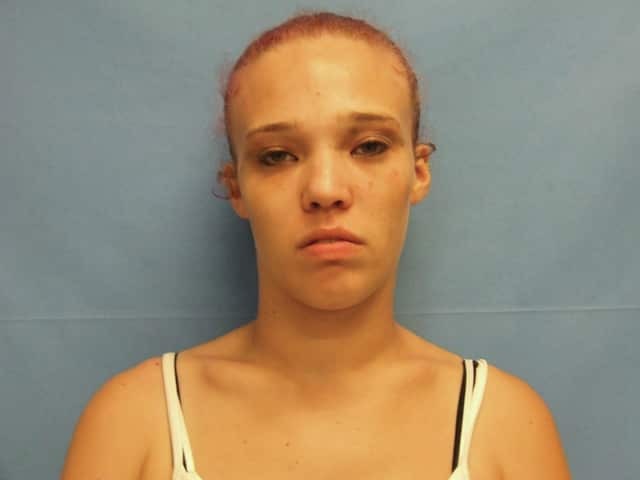 Spring Creek Township resident Avonlea M. Adams, 23, was arrested on June 22 for fourth-degree felony receiving stolen property, first-degree misdemeanor possession of a drug abuse instrument, and fifth-degree felony forgery. Adams was picked up at Buckle in the Miami Valley Centre Mall on June 22. Adams reportedly stated that during the May 5 shopping spree incident, she had been at the mall with her friend and two of his acquaintances that she did not know. Adams stated that her friend asked her to use his credit card when paying at Buckle on May 5, according to Piqua police reports. The friend reportedly told her “to just scribble something” on the credit card machine when asked for a signature. A witness stated seeing Adams use the stolen credit card twice at Buckle, adding up to approximately $670 in merchandise. The total amount charged to the stolen credit card over the course of the shopping spree was reportedly over $1,000. The shopping spree also reportedly took place at Kroger, Shell gas station, and Finish Line, in addition to Buckle. During the investigation into the May 5 incident, a witness claimed seeing a black male at the Miami Valley Centre Mall at the same time who was reportedly involved in similar incidents at the Springfield Mall. The witness explained that “this male would come in, always with different people carrying several bags, and exchange items or return them,” according to Piqua police reports.The witness went on explaining that when the male returned the items, the male would allegedly claim that his credit card was no longer active. The store associates would then give the male cash. The male was gone from the Miami Valley Centre Mall on May 5 prior to officer arrival. When Adams was picked up on June 22, police searched her bag and reportedly found a bottle of prescription oxycodone pills and a hypodermic needle. Adams admitted to using the needle for heroin, according to Piqua police reports. Adams stated that the last time she used heroin was on June 21. The bottle of prescription oxycodone pills reportedly belonged to Adams’ mother. Adams’ claimed that “her mother gave her permission to have the pills,” Piqua police reports stated. However, Adams’ mother “stated her daughter must have stolen the pills from her” after an officer contacted her. Adams is currently being held at the Miami County Jail on $10,500 bond. A preliminary hearing for Adams is scheduled for July 1. The Piqua Police Department can be contacted at (937) 778-2027. Anonymous tips can be submitted by calling (937) 615-TIPS (8477) or by visiting www.piquaoh.org/police_submitatip.htm for more information.